Polymers are large molecules made up of many repeating units. They exhibit diverse mechanical, thermal and chemical properties that make them suitable for a wide range of applications. They are called "plastics" because in theory they can be reshaped multiple times into new products – that is, they are recyclable. In practice, unfortunately, remelting and forming new packaging often degrades the properties of these recycled products, as they are contaminated with impurities from food, labels and other materials. The Ellen MacArthur Foundation is a U.K.-based charitable organization that is focused on environmental issues. 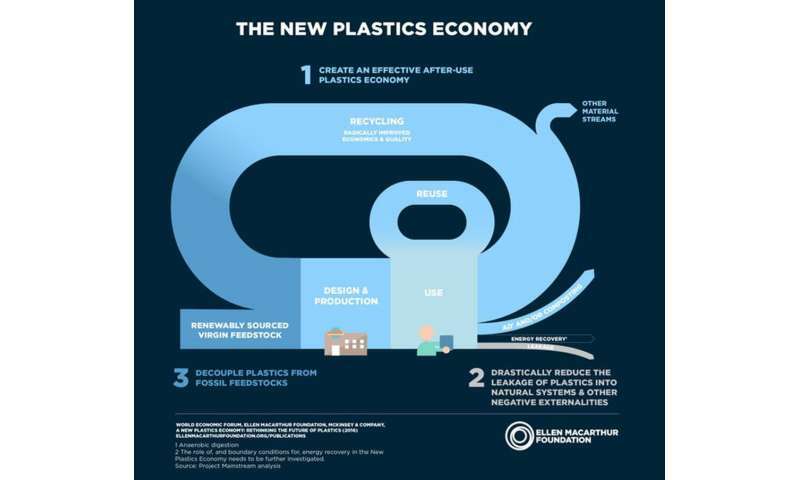 The foundation has called for a circular economy approach to work toward a new plastics economy. They are working with business, government and academia to shift the way humans consume. Currently society's throwaway culture supports a linear economy in which items, especially plastics, are used once and tossed out. 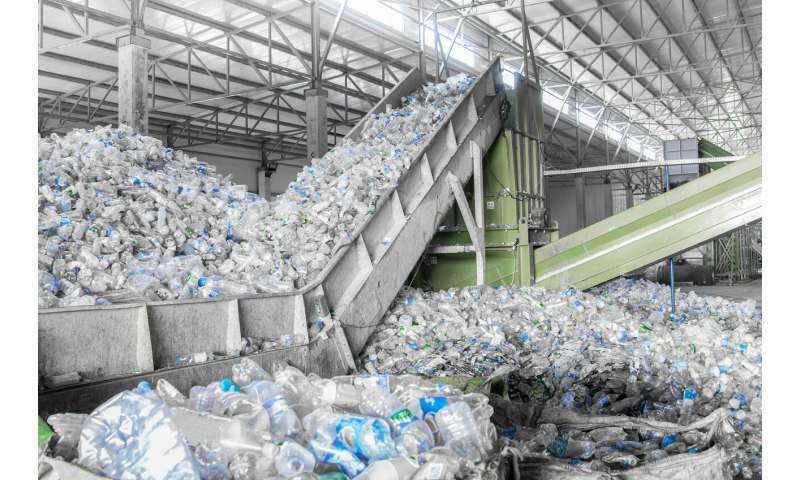 In a circular economy, plastics would be designed, manufactured and collected in such a way that they could easily be broken down, separated and recycled. As an example, a thoughtfully designed cellphone could be separated into plastics, electronics, glass and other components, and each stream could then be recycled into something just as high quality the second time around – hence the phrase "circular economy." What should we do about single-use plastics?